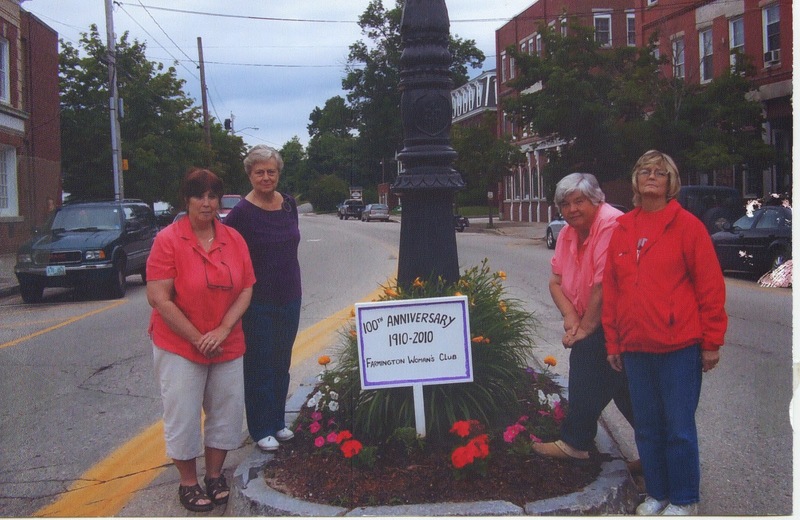 Woman's Clubs can trace their history back to 1868. 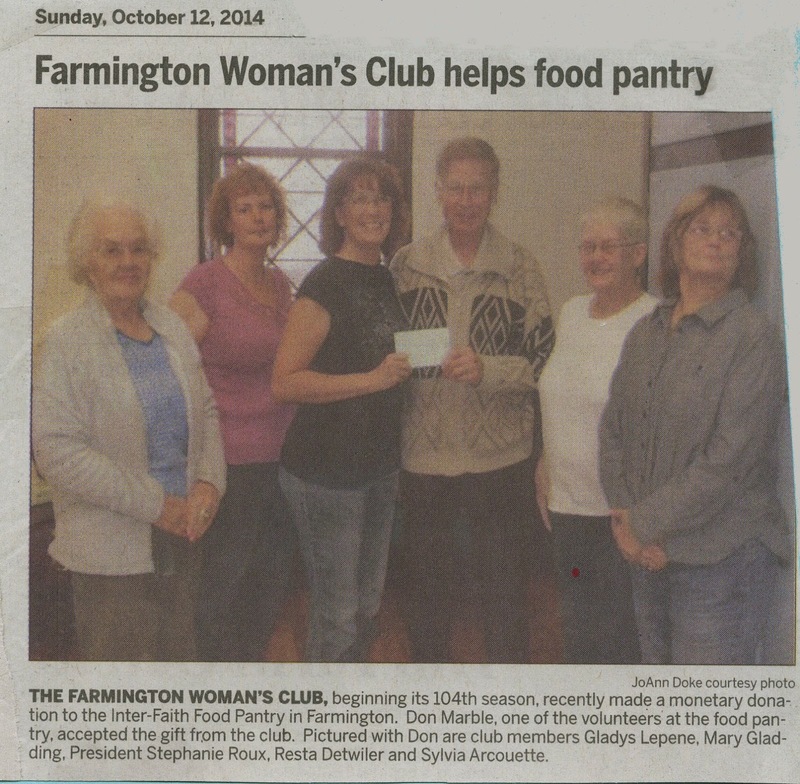 The Farmington Woman's Club was founded in 1910. 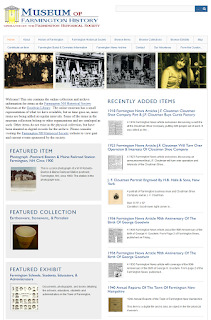 Woman's Clubs began in communities as modern household advances afforded the women more leisure time. The clubs' original function was as study clubs or reading clubs. As time went on, their goals also included social welfare; building schools, hospitals and libraries. Woman's Clubs in the United States helped fund the building of 75%-80% of all libraries across the nation, including our own Goodwin Library. The Farmington community should be proud of the longstanding support and leadership that the Woman's Club has exemplified for our town and our library. At the Goodwin Library cornerstone laying ceremony in 1928, Fred Thayer, master of ceremonies, noted, "I wish to especially call your attention to the influence of the women in this community in this growth and I refer particularly to the Farmington Woman's Club. In 1911, this organization, which is regarded among the leaders for civic programs, conceived the idea of creating a fund for the erection of a public library building. They not only conceived the plan, but have carried it through each successive administration by supplementing the small original fund with proceeds of social activities, until one year ago there was somewhat over $1800 in the treasury. With this fund, the Board of Trustees had for some time discussed and negotiated for a suitable site for such a building. Last November, this very spot upon which we stand was purchased." 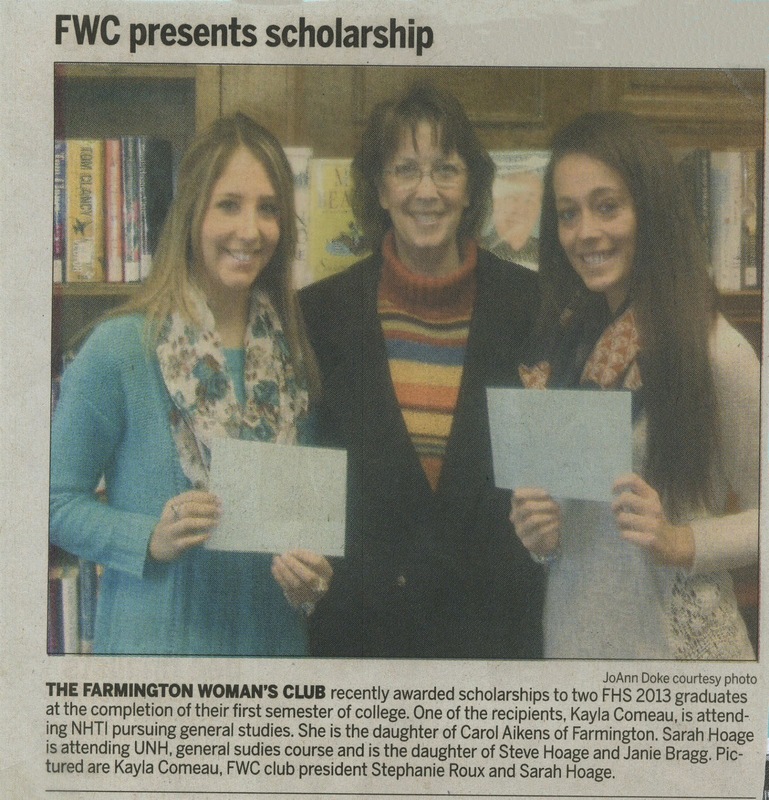 We have a library in Farmington because of the dedication and support of the Farmington Woman's Club. Prior to the building of the Goodwin Library, books were kept at the Farmington Opera House and were lost in a fire there. Continues Thayer, "Immediately after the fire, the women again came to the fore and have continued through social activities, to swell the funds for the continuance of this institution." 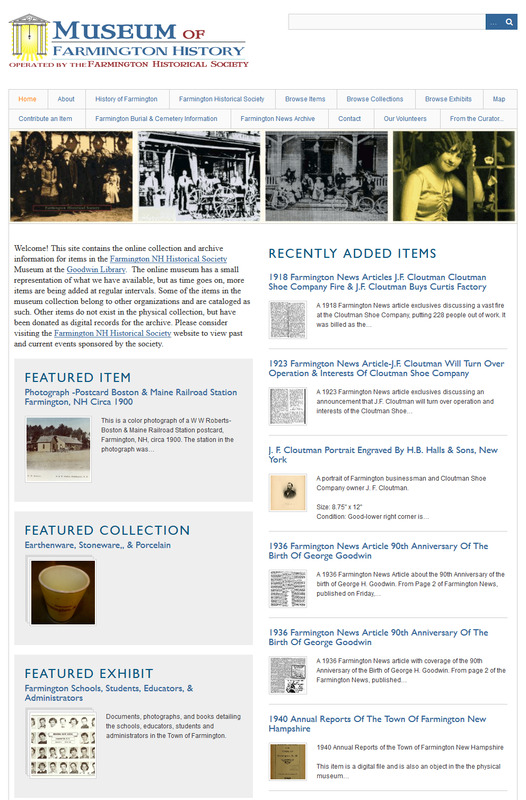 Fast forward through the years of consistent monetary and in kind donations to various causes in Farmington. The goals of promoting social, ethical and intellectual culture, to further education is still present in our modern day activities. Through the efforts of some of our fund-raising committees, we have been able to double the amount of our yearly scholarship to a FHS graduate to $1000. We continue the decades long tradition of hosting an annual faculty tea to show our appreciation for our educators and also to award each school with a monetary donation. 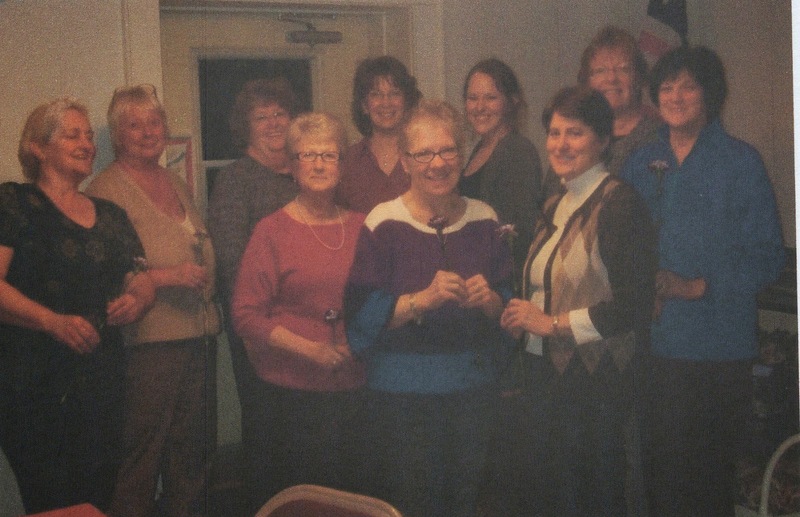 In 2010, on the occasion of the Farmington Woman's Club's 100 the anniversary, the club was recognized with a congratulation letter from President Obama. 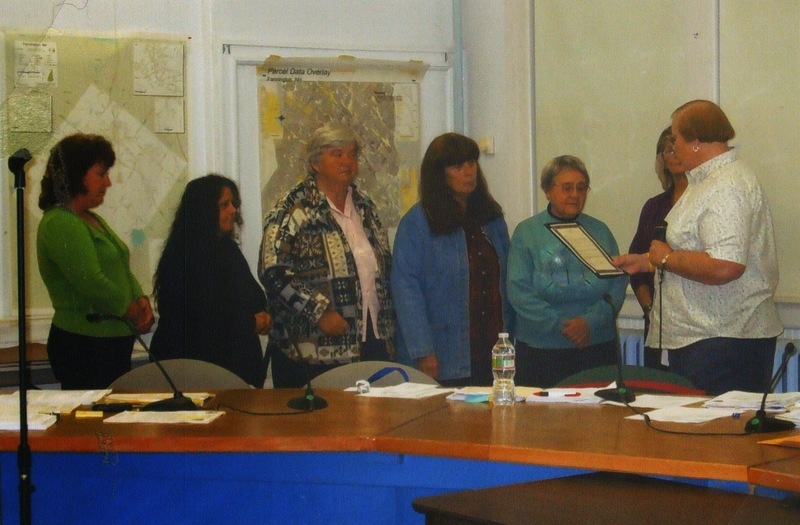 The Farmington Board of Selectmen also acknowledged the Woman's Club's efforts with a formal proclamation. In holding to our traditions, we have also tried to keep curent with changing times. Some of our daytime meetings have been changed to evenings to allow our working members to attend. With the continued growth of the club, we have seen an increase in our fundraisers with an influx of new ideas. 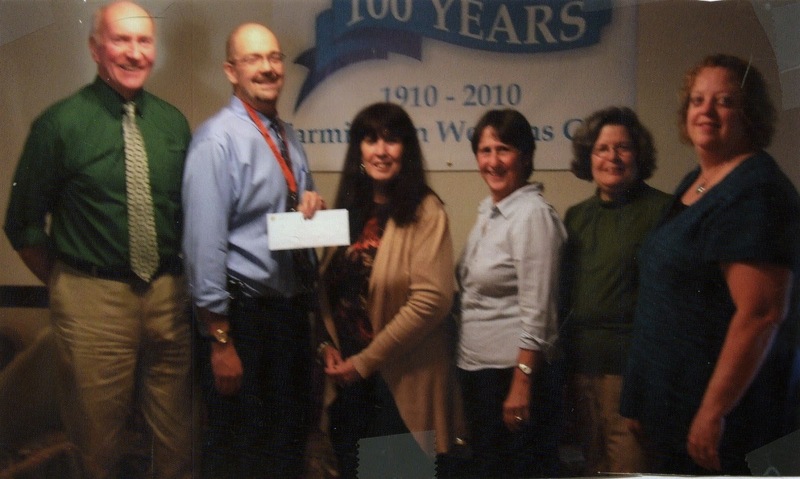 We have donated to many causes including: the Interfaith Food Pantry, The American Legion, Farmington Arts Boosters, The Farmington Recreation Department, The Puddledock Press and more. The club was responsible for the purchase of the lovely trees downtown and continues to maintain the flower garden site in the middle of town. One of the American flags flying proudly was a club donation. The club is not all about good works. We do have social activities where we can enjoy each others company and invited guests. 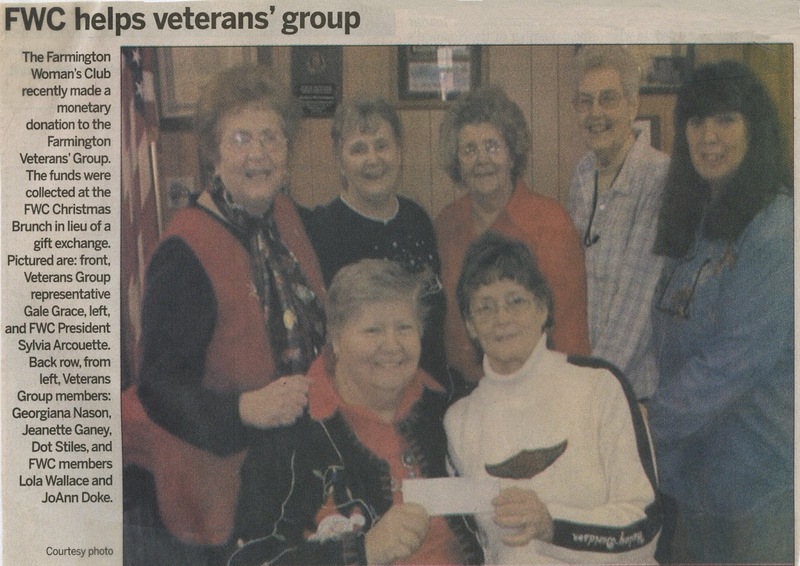 The Woman's Club hosts several social activities and fund raisers throughout the year. As always, the FWC welcomes new members from Farmington and surrounding communities to attend a program or a meeting and see if we are a fit for you. Please contact President Stephanie Roux at 603-755-9902 for more information.